Will the Fifth Circuit Court of Appeals Kill Tort Reform? Tort reform has been a popular political topic for years. Corporate defense lawyers frequently support measures for capping tort damages, and plaintiffs’ attorneys criticize that such policies favor businesses over individuals. The dominant issue in the tort reform debate is whether — or how — noneconomic damages for intangible injuries, (e.g., pain and suffering, emotional distress, loss of consortium or companionship), should be limited. Now, the Fifth Circuit Court of Appeals is wading into the tort reform discussion to address the Magnolia State’s statute limiting damages, the Mississippi Business Journal reports. Friday, the Fifth Circuit asked parties involved in a lawsuit that challenged the constitutionality of Mississippi's $1 million cap on noneconomic damages to re-brief the issue, The Associated Press reports. If you're not familiar with the case behind the issue, Learmonth v. Sears Roebuck and Company, you may be wondering why a federal appellate court would be deciding the fate of a state tort cap. The short answer: It's complicated. A jury found Sears liable for causing Lisa Learmonth's injuries in a car accident -- the collision involved a Sears van driven by a Sears employee -- and awarded her $4 million in compensatory damages. The district court denied Sears' motion for a new trial, but remitted the noneconomic damages portion of the award to $1 million pursuant to Mississippi's statutory cap on noneconomic damages. Learmonth challenged the constitutionality of the Mississippi statutory cap. The Fifth Circuit certified the state constitutional question to the Supreme Court of Mississippi, which declined the question because the issue was not "squarely presented" by the parties at trial. That meant the Fifth Circuit was left to decide the constitutionality of the state statute, prompting the most recent round of briefing. 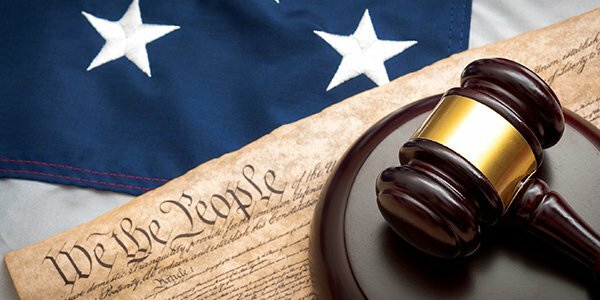 Regardless of the Fifth Circuit's decision, the outcome in this appeal will not affect existing tort law in the other states under the circuit's umbrella. Unlike Mississippi, Louisiana and Texas tort reform laws only address medical liability; they do not limit noneconomic damages. Sears' brief is due Oct. 22, and attorneys for Learmonth have asked the court to allow them to file briefs by Nov. 19, according to the AP.